Welcome back. 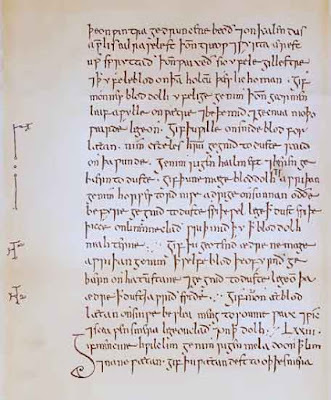 Did you see where a remedy from a 1000 year old Anglo-Saxon manuscript worked against the superbug MRSA? CNN, BBC, CBS, USA Today and I’m sure others all had something to say. That manuscript was only one of four ancient medical-related manuscripts in the news over the past several months. The others haven’t and probably won’t offer any new treatment for current medical problems, so they weren’t widely publicized. Still, being new to the topic, I found all the reports intriguing. Maybe you will too. The big story was that researchers from the UK’s University of Nottingham and Texas Tech University recreated and tested a remedy from the 9th century Anglo-Saxon text Bald’s Leechbook. The remedy described a recipe for combining five ingredients--two Allium species (onion genus), oxgall (bovine gallbladder bile), wine and copper--and preparing a potion for treating a stye, an eyelash follicle infection usually caused by the bacterium Staphylococcus aureus. In testing, the potion repeatedly killed Staphylococcus aureus grown in established biofilms, reducing cell numbers by up to six orders of magnitude. Good start, but get this: When tested on skin scraps from mice infected with MRSA, an antibiotic-resistant form of the bacterium (Methicillin-resistant Staphylococcus aureus), the potion killed 90% of the bacteria. Of note, the ingredients had little effect unless they were all combined, and the exact steps also seemed critical (mixing correctly, brewing in a brass cauldron, letting it sit for nine days). The Oxyrhynchus Papyri Collection, owned by the society and housed by Oxford University in its Sackler Library, encompasses over 500,000 papyrus fragments. 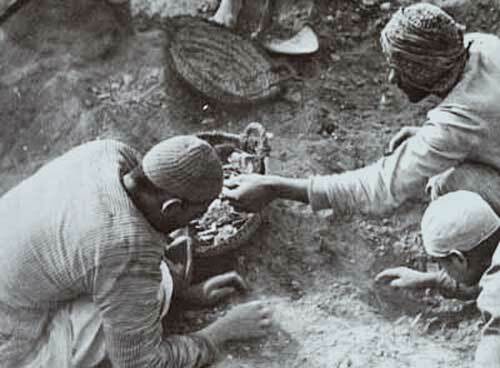 Most are in Greek, dating from the 3rd century BC to the 7th century AD, and most were excavated by Bernard Grenfell and Arthur Hunt at the ancient Egyptian city of Oxyrhynchus, about 100 miles south-southwest of Cairo, in 1896-97 and 1903-07. The new volume is the first major collection of translated medical papyri from a single place. Included are known medical texts by Hippocrates, Dioscorides and Galen as well as new texts from the 1st to 3rd or 4th centuries on acute diseases, medical recipes, surgical texts and doctors' reports. As you might expect, news media accounts of the volume’s release highlighted the treatment for a drunken headache (i.e., hangover): Wear a string of leaves of the evergreen shrub Alexandrian chamaedaphne around the neck. 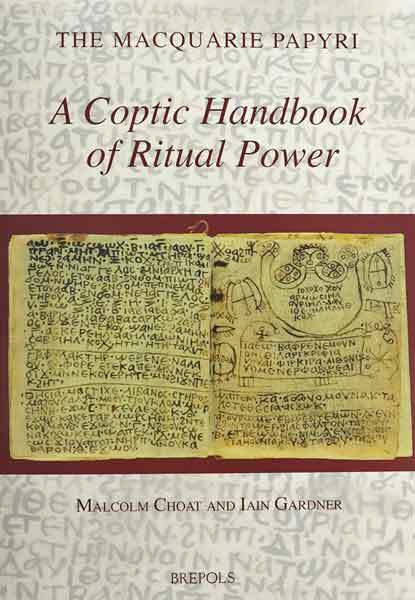 The news that researchers from Australia’s Macquarie and Sydney universities had deciphered an ancient Coptic Egyptian handbook of spells was announced last November. 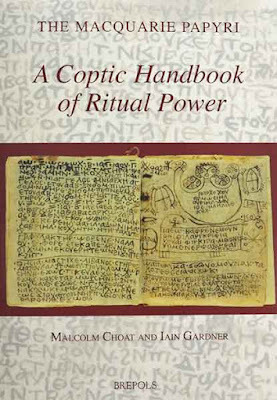 The handbook is a codex of 20 bound pages of parchment written in Coptic Egyptian script, an adaptation of Greek script. Included are invocations with drawings and words of power, followed by 27 spells to cure demonic possession, various ailments and the effects of magic, or to have success in love and business. The codex is thought to be from the 7th or 8th century when many Egyptians were Christian; a number of invocations reference Jesus. Some, however, are more associated with Sethians, a Roman era Gnostic sect that held Seth, the third son of Adam and Eve, in high regard. The codex may reflect the transitional time of purging Sethian invocations from magical texts. The researchers judge that the invocations were originally separate from the spells but later combined to provide a single instrument of power for ritual practitioners, likely not clergy or monks. Macquarie University obtained the codex in 1981 from an antiquities dealer in Vienna, but his source is unknown. Given the length of this post and the fact that the fourth ancient medical-related manuscript I mentioned ventures into a different topic--the discovery of hidden text, I’ll save it for next Tuesday’s addendum. I hope you’ll be back. Thanks for stopping by.